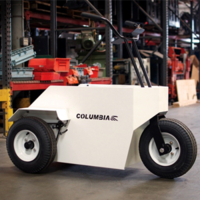 With over 60 years of industry experience, Columbia is the premier manufacturer of electric work vehicles. Columbia vehicles are specifically engineered to do more and last longer. It is why Columbia vehicles are used exclusively every day at the Las Vegas Convention Center, seen all over mega office complexes in Silicon Valley, and are used at the Atlanta Hartsfield Airport! It is also why Disney awarded Columbia with its prestigious Innovation Award. There was a time when gas and diesel were preferred over electric but that’s history. 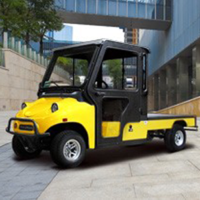 With advances in battery technology and charging systems, electric vehicles have become the standard for work vehicles. There are no messy lubricant or gasoline/diesel by-products created, nor are there other hazardous exhaust and other materials left by our vehicles causing them to be the top rated eco-friendly vehicles on the market. Our industry leading vehicles can handle any load from transporting 1-26 people, carrying 5,200 pounds of materials or towing up to 7 tons! Columbia is a leader in our industry’s innovation having introduced more industry changing firsts in design and manufacturing than our competitors. Our vehicles are not cookie cutter, one size fits all like most competitors. If you do not see a vehicle that fits your needs, let us know! 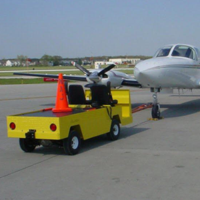 We can customize any vehicle for any application and have an extensive library of customized vehicles. When you buy Columbia, you are buying the best work vehicles available today. Each vehicle is proudly built in Reedsburg, WI and rigorously tested to ensure the vehicle’s durability and reliability on the job. Each vehicle is American made in Reedsburg, WI, which is a proud tradition that Columbia can date back to the 1940s. We also support our vehicles with an extensive dealer network and the best customer experience possible. Don’t settle for less! Don’t settle for a modified golf car others are selling as a work vehicle. Step up to the best and you’ll be a hero with your constituencies! Columbia believes in our founder's core values of; family, integrity, leadership, teamwork, knowledge, and excellence. In fact, it is because of these values that our mission is to provide inspired solutions that move our customers each and every day. 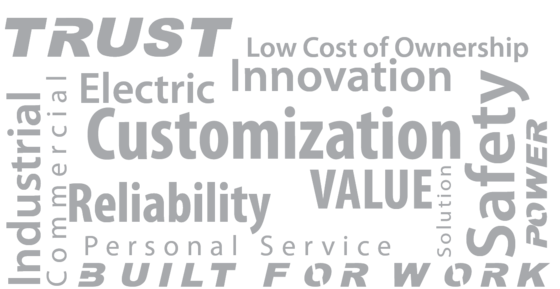 Each of our electric vehicles is assembled in Reedsburg, WI using the highest quality materials available. 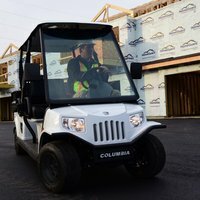 Columbia vehicles are not modified golf carts that try to fit the application; instead, our vehicles are specifically built for work. 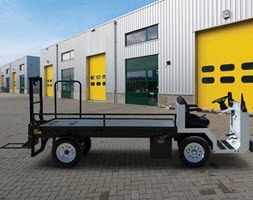 Some of the popular applications for our vehicles are colleges and universities, water treatment plants, warehouses, cities and municipalities, nurseries, and maintenance and grounds crews. Columbia Is The Respected Leader In The Industry As a respected leader in our industry, Columbia strives to stay on the cusp of innovative technologies and partnerships. Because of this, we have been awarded The Facilities & Operations Services Innovation Award from the Walt Disney Company. You will not find a more reliable, cost-effective, and easy to maintain a vehicle than a Columbia. Choose your model. Choose your upfit. Optional upfit solutions are available including van boxes, cabs, decks, utility, ladder racks, additional seating, and specialty upfits. Columbia vehicles are built for work. If we don’t have the solution you need in our line up, no worries. Contact Columbia for your custom-engineered solution today! "We found that our electric vehicles were getting 3 cents per mile for cost for energy compared to internal combustion engines which was approximately costing us 30-35 cents per mile in fuel. . . We are using them in our grounds and landscaping. People were using them in building services. We have reclaimers, electricians, (and) custodians (that) now have front door access to the building." "Room for six, excellent suspension, and every seat has a stunning view! Our new electric cart has exceeded our expectations. We have been able to provide a comfortable and safe experience for visitors to our headquarters who may not normally be able to view the cranes on their own." 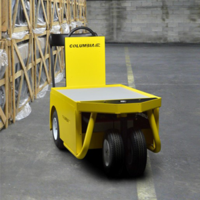 Adding Columbia vehicles to your fleet can increase employee productivity and multiply the return on investment per team member. Columbia has a focused set of characteristics that make us unique in the task-oriented vehicle industry. 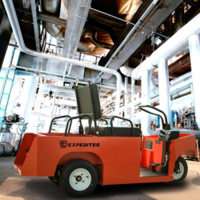 Ergonomics: Our design teams focus on making our vehicles the most comfortable to operate or ride in. Green: Designed to be friendly to the environment you won’t find a greener solution than our zero emission vehicles. Smart Power: With over 60 years of practical experience our power systems are the most intelligent in the industry. Easy Maintenance: Our engineers hate “knuckle-busters”, so they work hard to make our vehicles easy to service and maintain. Extreme Range: Our vehicles have all the range you need to get more done with power to spare. American Made: Skilled American workers assemble all vehicles in Reedsburg, Wisconsin. Built Strong: We use the strongest materials in our industry to build vehicles that outlast the competition. The benefits of electric vehicles are multi-faceted. Operating costs are lower (between 2 and 3 cents per mile) maintenance costs drop dramatically as there are fewer moving parts to maintain. Additionally, switching from noisy, smelly gas will not only eliminate your tailpipe emission and lessen your team’s environmental impact but will also make anywhere your team operates more comfortable to work and visit. Now, through OMNIA Partners you can put pure electric vehicles in your fleet quickly and easily. How do I place an order with Columbia? Orders can be placed directly from Columbia or through a certified local Columbia dealer. My state requires local governments to bid everything. Can local governments in my state use this program without going to bid? This contract has been competitively bid by a lead public agency. Through the Joint Powers Authority or an inter-local agreement, local governments can “piggy-back” this competitively bid contract through OMNIA Partners. Please refer to the state statutes page if you need additional information. What products are available through this contract with Columbia? All vehicles built and sold by Columbia are available through this OMNIA Partners contract. This includes the Commercial and Industrial product lines. What is the pricing and shipping cost for Columbia vehicles? Columbia has committed to providing the lowest public sector pricing available through the OMNIA Partners contract to participating public agencies. Contact uscommunities@columbiausa.com or call 608-535-6636 for additional information. 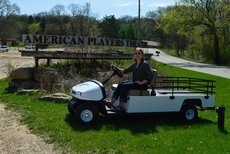 American Players Theatre is a non-profit organization who choose one of the safest electric work vehicles on the market into their fleet - the Columbia Utilitruck. APT discovered different areas within their budget in which they were overspending, without even knowing it. In just a few short months, they were already seeing a cost saving in more ways than their vehicle purchase from Columbia. "Thank you, thank you, thank you for turning us on this contract. We are already saving thousands," Cari Stebbins, Operations Manager said.